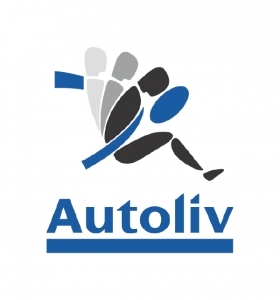 STOCKHOLM -- Swedish supplier Autoliv forecasted higher organic sales growth this year after fourth-quarter adjusted earnings rose 8.2 percent and revenues increased 5 percent. Autoliv, the world's largest maker of airbags and seat belts, forecast 2018 like-for-like sales growth of more than 7 percent. The supplier said in a statement that its quarterly adjusted operating profit rose to $263 million from $243 million in the year-ago quarter, beating a mean forecast for $247 million in a Reuters poll. Total revenue in the quarter grew 5 percent to $2.72 billion. Net income fell 139 percent to a loss of $55.6 million. “The fourth quarter ended a year of records and exciting announcements," CEO Jan Carlson said in a statement. "We are pleased that the fourth quarter sales and gross profit were the highest we have reported for any quarter. The full year 2017 was also the best year we have reported for sales and gross profit." The supplier said its business in the Americas fell organically 6.2 percent to $788 million during the quarter. It noted "unfavorable platform shifts with GM" and "weaker sales with Nissan." Autoliv said last year it was planning to split into two listed companies, with one focused on high-tech safety gear to capture the rapid growth toward self-driving vehicles. Mercedes X-class -- Driver airbag with steering wheel, passenger airbag, knee airbag, side airbag, inflatable curtain and seat belt with pretensioner. Volvo XC40 -- Passenger airbag, knee airbag, side airbag, inflatable curtain and active seat belt with pretensioner. Jeep Wrangler -- Steering wheel, passenger airbag and radar system. Lynk & CO 01 -- Passenger airbag, side airbag, inflatable curtain and seat belt with pretensioner. Infiniti QX50 -- Passenger airbag, knee airbag, inflatable curtain, side airbag, seat belt with pretensioner and safety electronics. BMW X2 -- Knee airbag, side airbag, inflatable curtain, seat belt with pretensioner, and mono camera system. Hyundai ix35 -- Driver airbag, passenger airbag, side airbag, inflatable curtain and safety electronics. Fiat Cronos -- Driver airbag, passenger airbag and seat belt with pretensioner. DS 7 Crossback -- Side airbag, inflatable curtain, seat belt with pretensioner and night-vision system. Autoliv ranks No. 23 on the Automotive News Europe list of the top 100 global suppliers with worldwide sales to automakers of $10.07 billion in 2016.